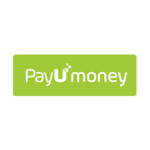 Get Rs.40 cashback on minimum Recharge value of Rs 80 Rs. PayTm Coupons- Get up to 50 Rs. Cashback on Metro Card Recharge. Get a Chance to Win 1 Lakh Cashback on Recharge or Bill Payments.